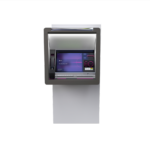 The SelfServ 84 is premium exterior through-the-wall multifunction ATM from NCR. Designed to retrofit in most existing wall openings, the SelfServ 84 handles very high transaction volumes. Fully weatherized, it offers your customers a wide range of transactions like mixed cash and check deposit and bill payment. 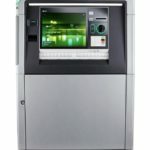 As a multi-function, through-the-wall style ATM, the SelfServ 84 may be ordered in a cash dispense only mode, as a deposit imaging ATM, and as ITM-ready. Mixed cash and check deposit and bill payment are among the benefits of the dynamic features offered by NCR. The 84 is made for severe conditions and may be used in kiosk or branch exterior drive-up placements.